July/Aug: Island Spirit IP35 Sailing Maryland to Maine for Island Packet Rendezvous in Boothbay. 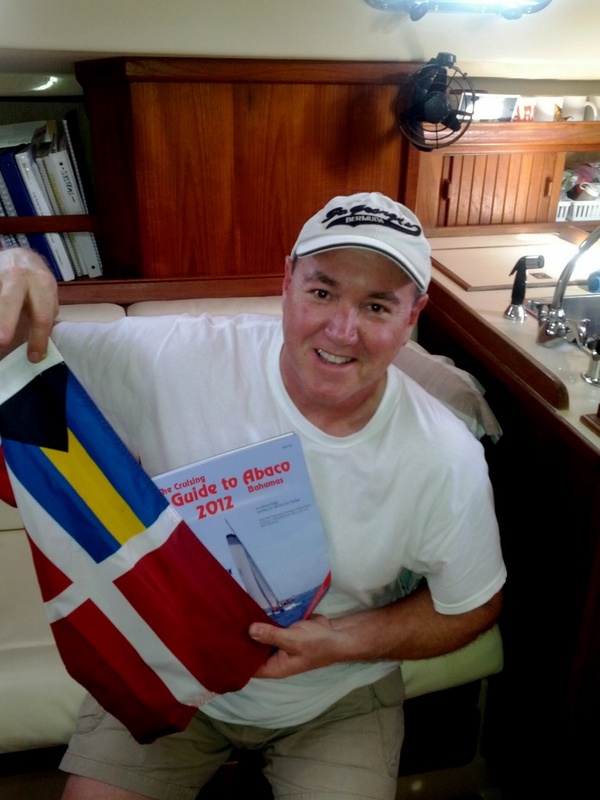 Aug: Out ran Hurricane Irene NY to MD, return to home slip and prep boat for the storm! 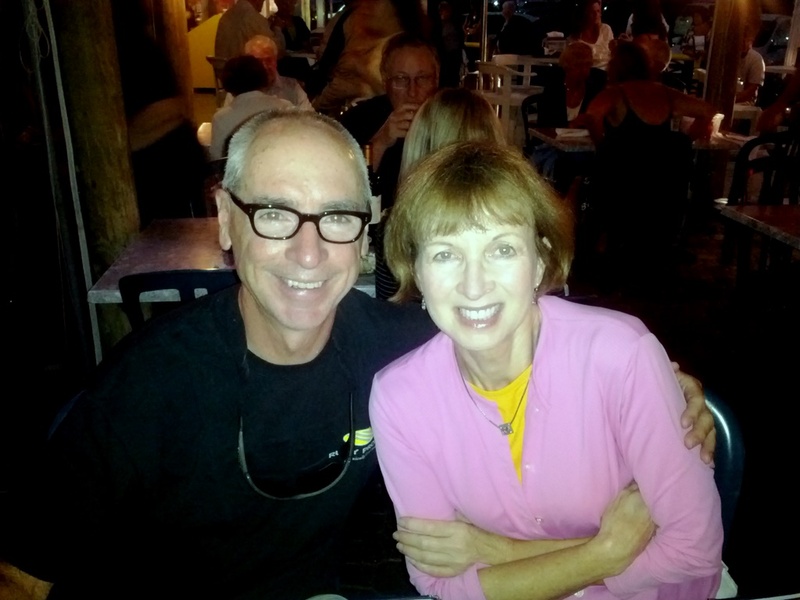 Dec-Jan: Marathon, FL, Living at Harbor Cay Club, Capt Jim’s great marina/home. Year Number One of our retirement is complete and we feel blessed to be able to live out a lifetime planned dream of traveling and sailing. We are nearly in the mid point of our current adventure as we will head for the Bahamas in March and April, exploring the Abacos. Then in the springtime, we will head north up the ICW returning to the Chesapeake Bay in June 2012. 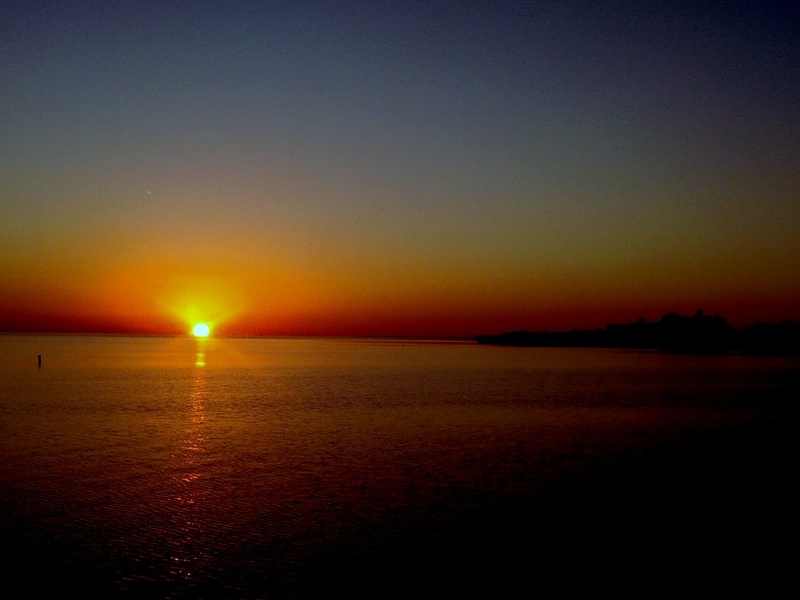 At that point, we most likely will head for BLOCK ISLAND, RI for the summer of 2012. Then we will return to the Chesapeake Bay and plan our next leg south. Thank you, everyone, for following our blog and for sharing our dreams…we are blessed…. 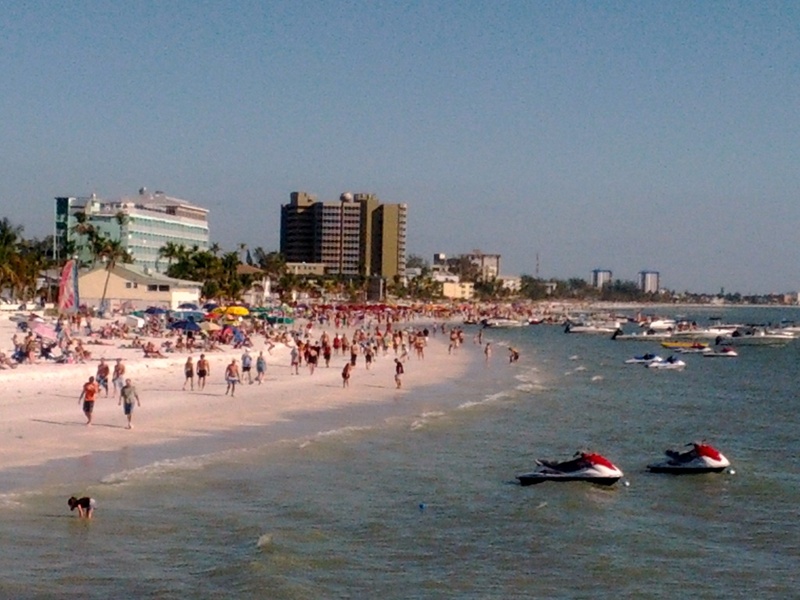 Ft. Myers Beach is a very interesting west coast Florida town with the most beautiful white sand beach. The Gulf of Mexico is calm when the wind is not blowing hard, so there are only little waves. 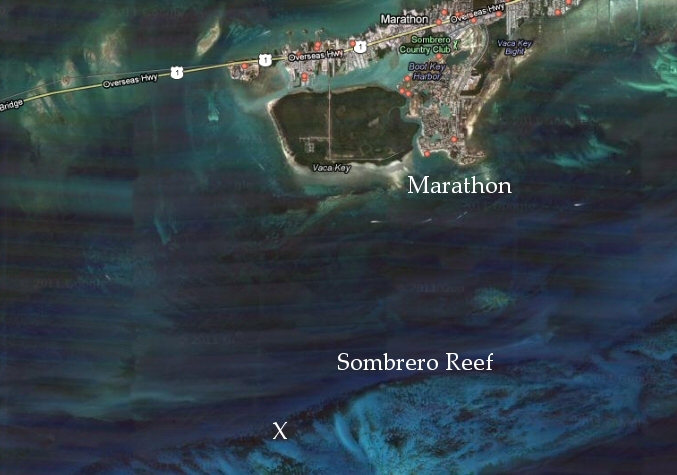 This provides the opportunity for para-sailing and jet skiing right off the beach. 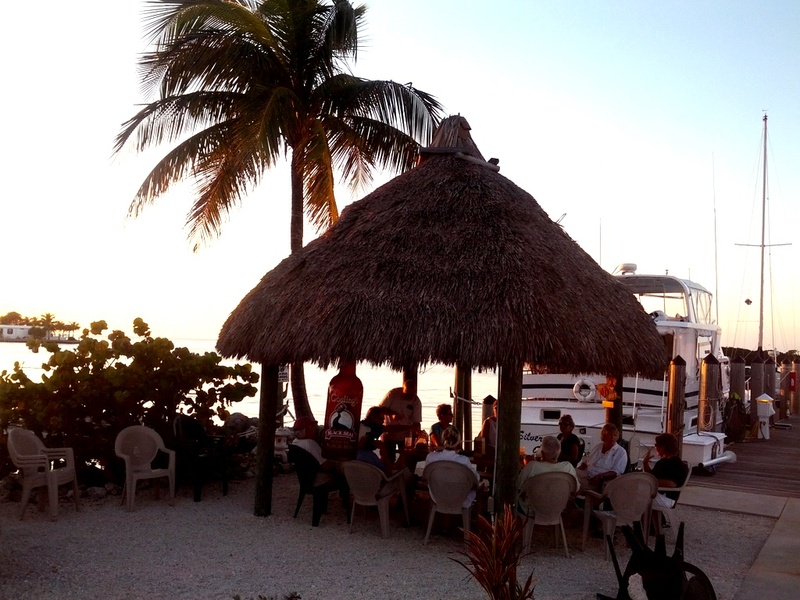 The local boaters also anchor their boats there and swim or walk to shore to enjoy beach bars and all-day live music. Welcome to Ft. Myers Beach! During spring break, this place loads up with college crowds. While in Ft. Myers Beach we had the special opportunity to connect with our Island Packet list member, Art R., IP 32 Lagniappe,who is always so helpful to IP members with 12 volt wiring, design, and installations. Art drove 2+ hours to spend the day teaching us about 12 volt systems and electrical issues. His presentation was very informative and so impressive with printed bound handouts, PowerPoint slides, and hands on experiments. We really enjoyed our learning and sharing fascinating stories with Art. Thank you, ART R.! 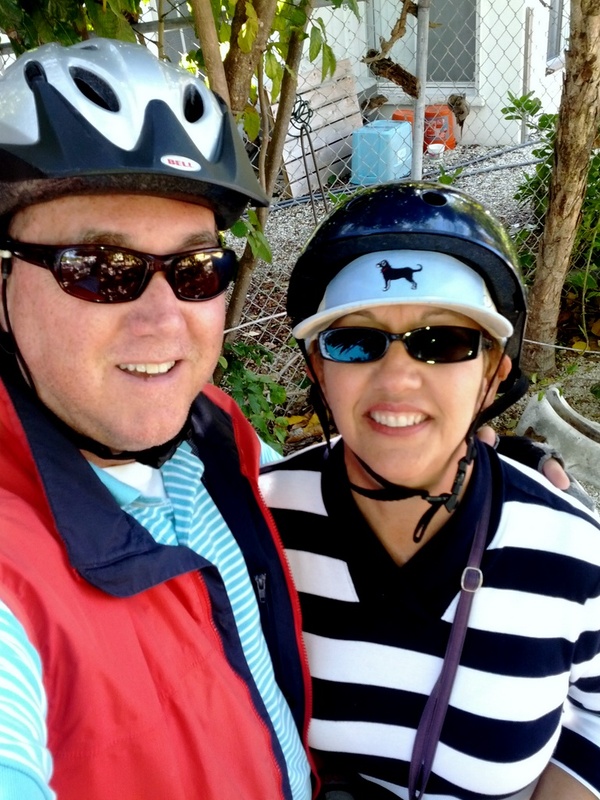 Not able to hide any better, our other IP friends, Debbie and Craig R. found us in the harbor as they arrived via their Harley Ultra Classic motorcycle. 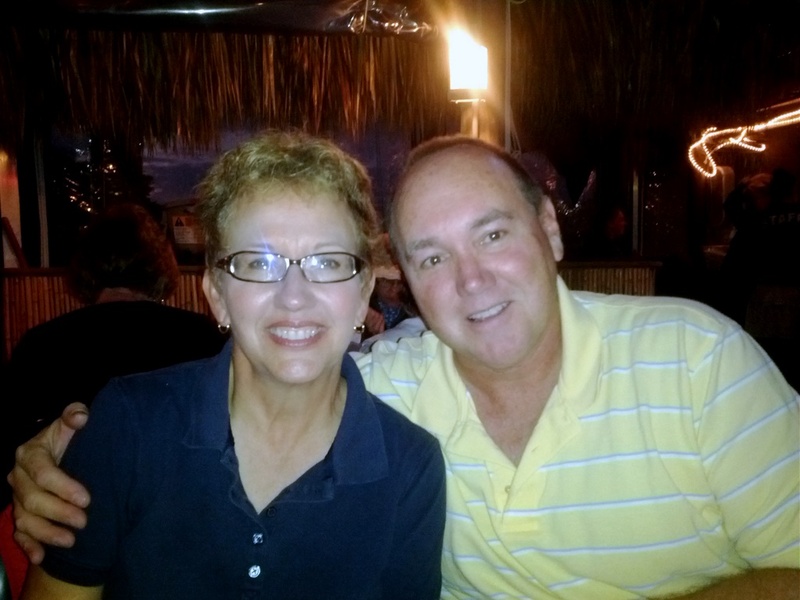 Debbie and Craig had an IP440 and traveled with us in 2008 when we were in Florida for our Drexel studies. 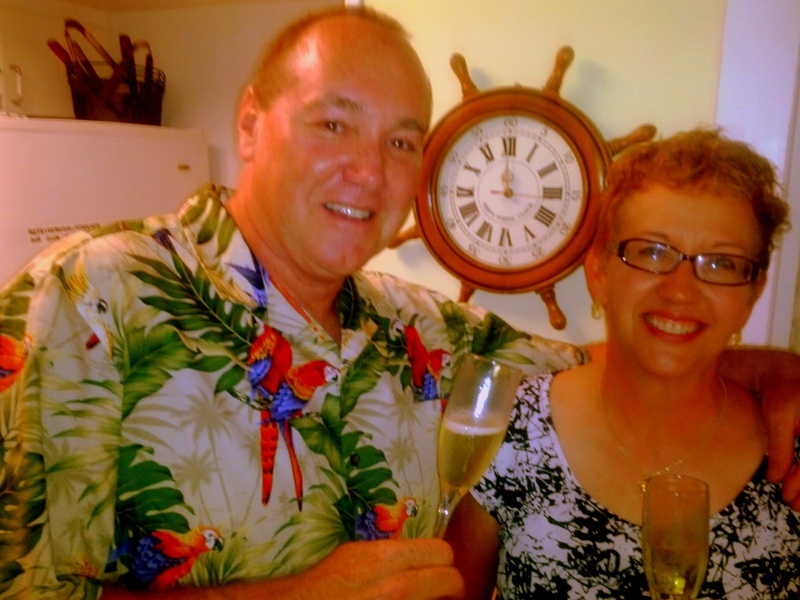 We drove north up the ICW and shared their signature dessert, flan, in many harbors together! They astonished us this trip with flan, delivered safely on the bike! Craig helped me with an improvement for my solar wiring addition and gave me a Harley ride to the West Marine and back that was one to remember. Debbie visited with Radeen and they really enjoyed their chats and sharing. What great friends! After 4 busy days in Ft. Myers Beach we move on north to Pine Island Sound where we stopped 2 hours short of our destination to experience Cabbage Key and the great cheeseburgers in paradise. 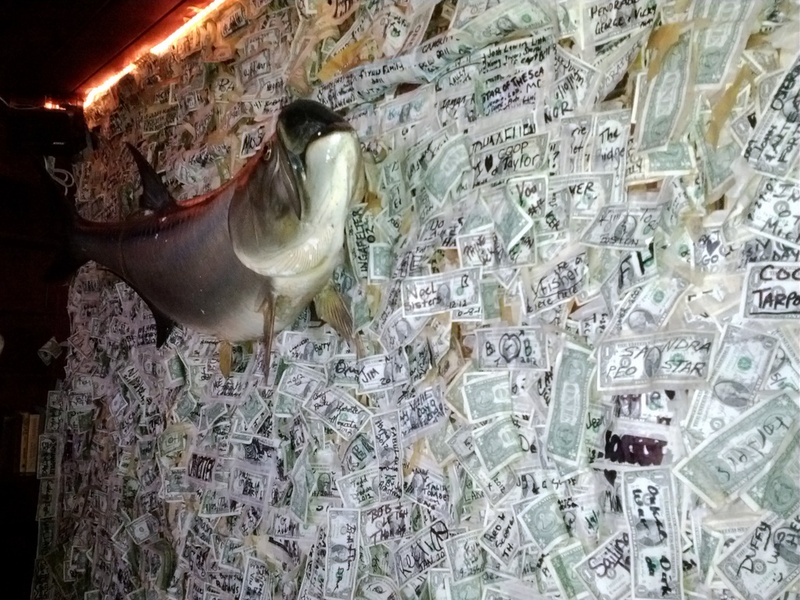 The local dollar bar there is amazing with over 50,000 one dollar bills nailed to the walls and ceilings. 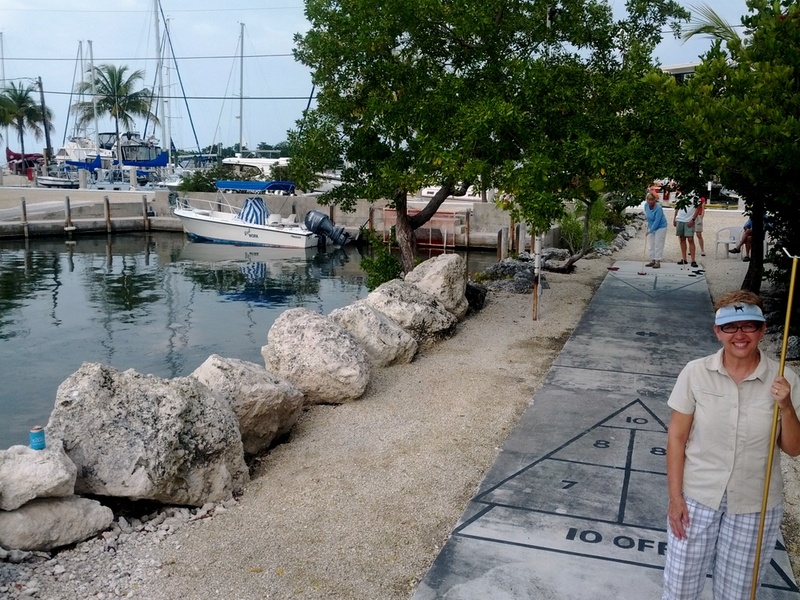 After lunch the 4 IPs pulled up anchors, and move into Pelican Bay off the State Park, CAYO COSTA. 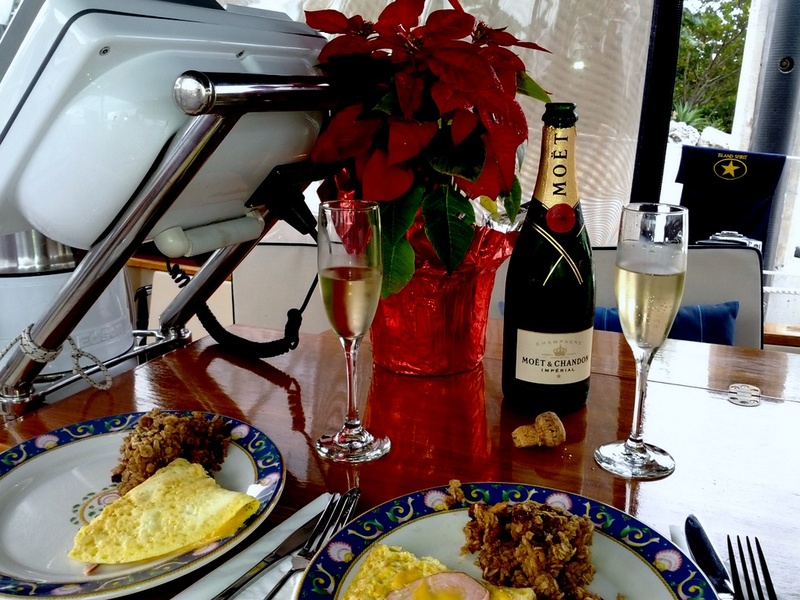 We enjoyed a lively cocktail hour aboard IP-420 Flatlander with Allen and Kathy H. with their friends Bill and Sue, IP-40, Florida Buoy. We plan to stay here a few days and take in the beautiful beach and isolated state park, accessible only by boat. Dollar Bar at Cabbage Key, Pine Island Sound, FL. We are really enjoying this West Coast of Florida as it provides so many harbors, great towns like Marco Island, and Ft. Myers, and beautiful sandy beaches. 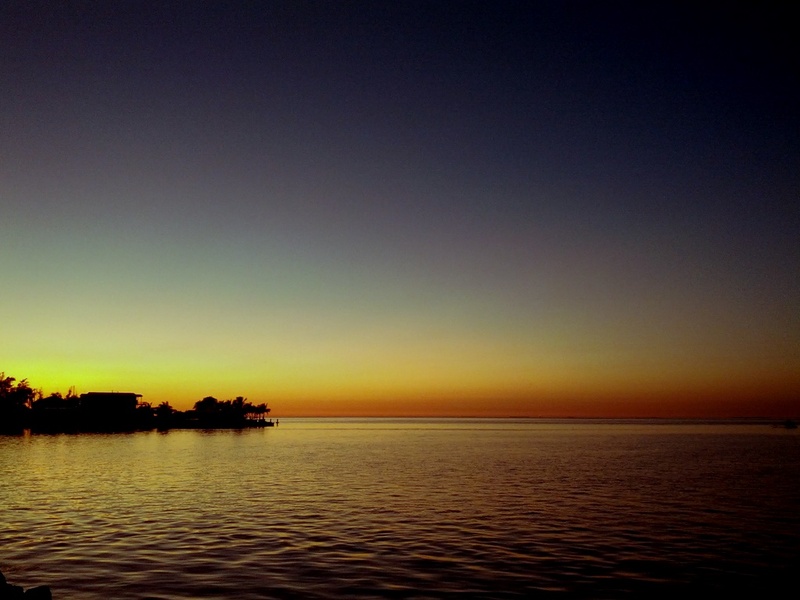 We can now see why Charlotte Harbor is a base for so many cruising sailboats. 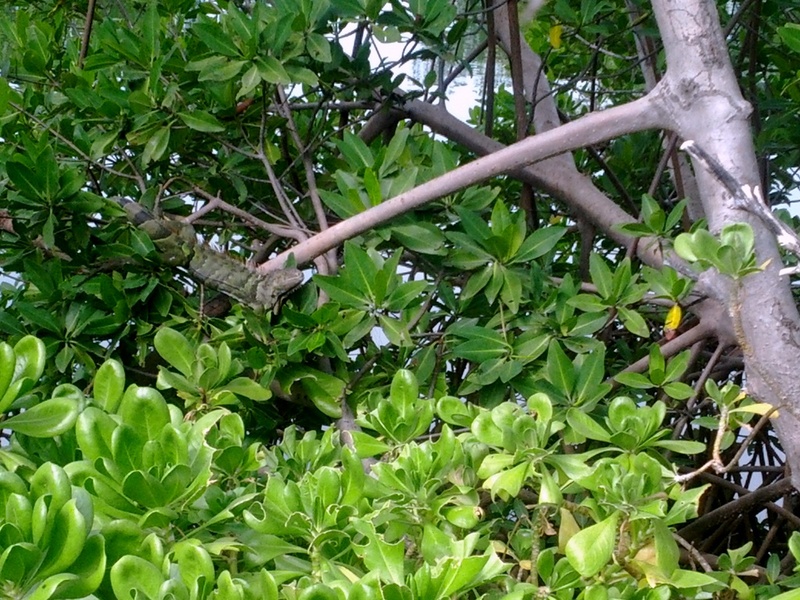 We need to explore this area more….for today, we will start with the Cayo Costa State Park Beaches! After departing Marathon, FL we headed north to the Everglades and into the Little Shark River. 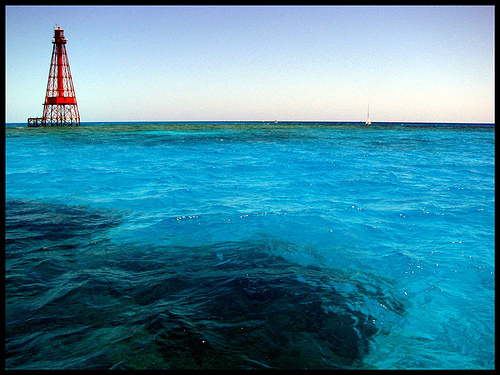 This is 35 nm north and it is the first logical anchorage when heading up the west coast of Florida. SP Catspaw, Carey and Bobbi, our fleet leaders, have explored these waters many times and he is showing us the way North. Little Shark River is in the Florida Everglades and there is obviously no development and no services. You are out here on your own and you must rely on yourself and or your buddy boats. At sunset, the no-see-um bugs attacked us and we were driven below decks. With the boat buttoned up, we enjoyed a nice baked chicken dinner and fresh homemade bread. The next day, Cutter Loose and Island Spirit moved on north to Marco Island, while Catspaw waited for the arrival of our other buddy boat, CAVU, who will catch up today. Shoreline Marco Island, FL…what a contrast 50 miles north! 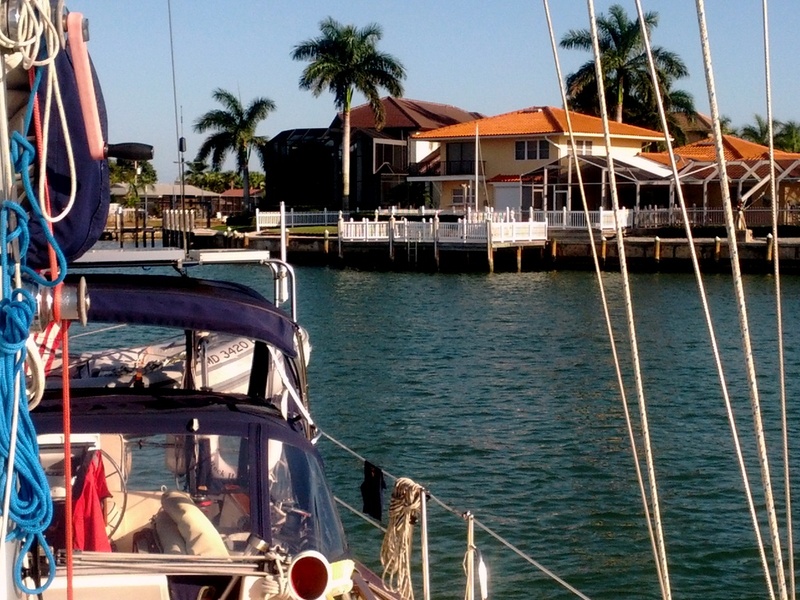 Marco Island is 56 nm northwest of Little Shark River and in calm winds, we motor sailed the 9 hours to Marco, entering Capri Pass and winding our way down into the Factory Bay anchorage. By 5pm we were anchored with Cutter Loose and enjoyed a night out at THE SNOOK INN which is a very good restaurant and pub. It is interesting to compare Little Shark River/Everglades to Marco Island! These two places are only 50 miles apart, yet they are at total ends of the spectrum. South Florida is beautiful, warm, diverse and has very shallow water. It is an interesting contrast to all the other places we have sailed. It is great to be back on the move again exploring by water. 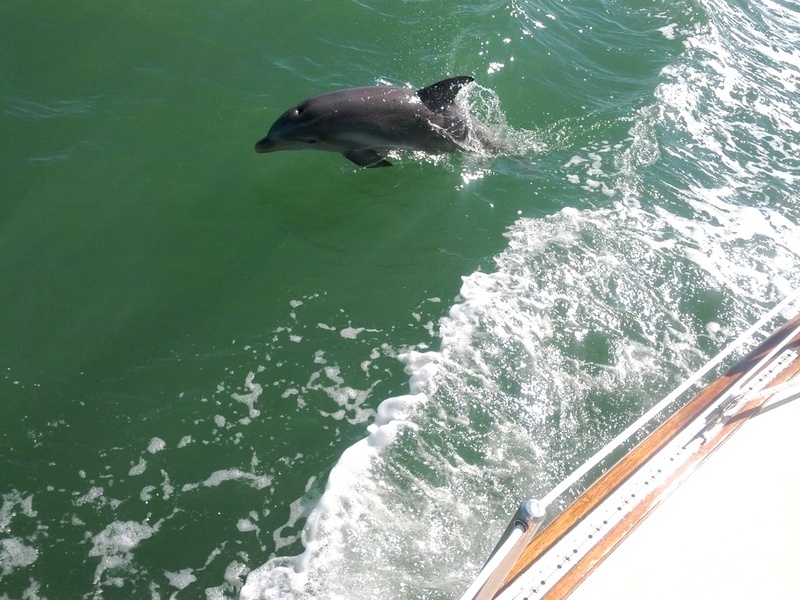 Island Spirit is a great boat, and she is running well….lucky we are…. 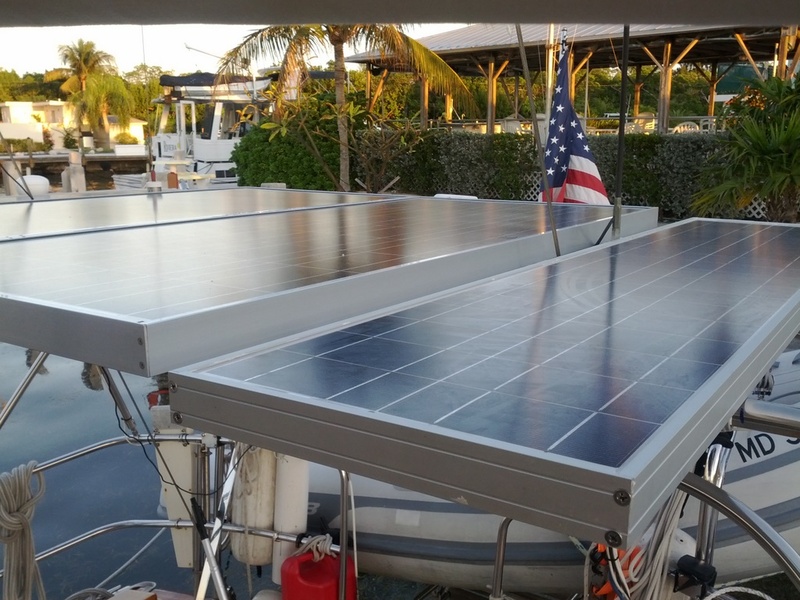 The boat is run 100% by solar power now! The 350 watts ran…. Free electricity via 350 watts of solar….nice! 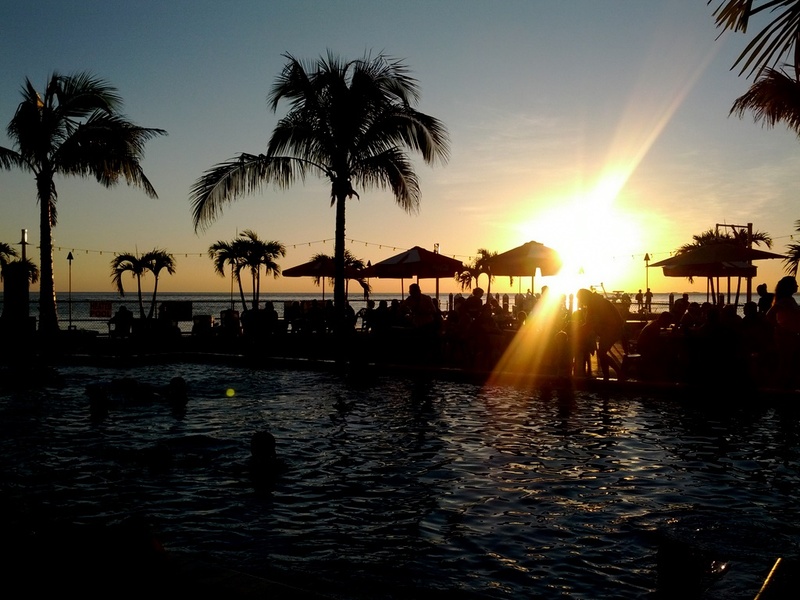 We will stay here a day, in Marco Island and wait for CAVU and CATSPAW to arrive and then the fleet of 4 will move up to Ft. Myers for a stay there…. This is a first time experience for Radeen and me, that being one of sadness to depart a harbor, to press on, to leave the comforts of home. 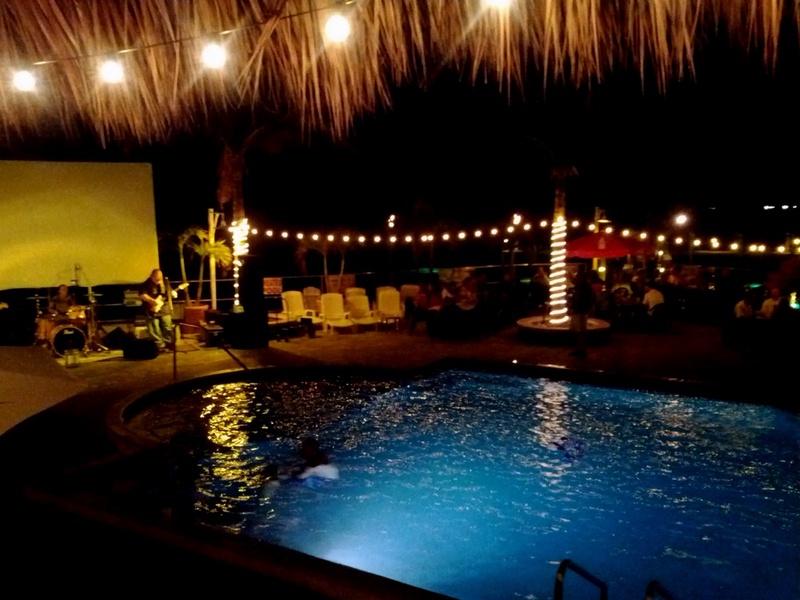 We have been moving about aboard our sailboat for 10+ years and never have we felt more at home than here at Harbour Cay Club in Marathon, Florida. There is really something special about this place, yet I can’t properly describe it. We have traveled by boat from Maine to Marathon and many points in between and nothing compares to this unique place. Sadly, we have nearly completed the preparations for heading out to sea. 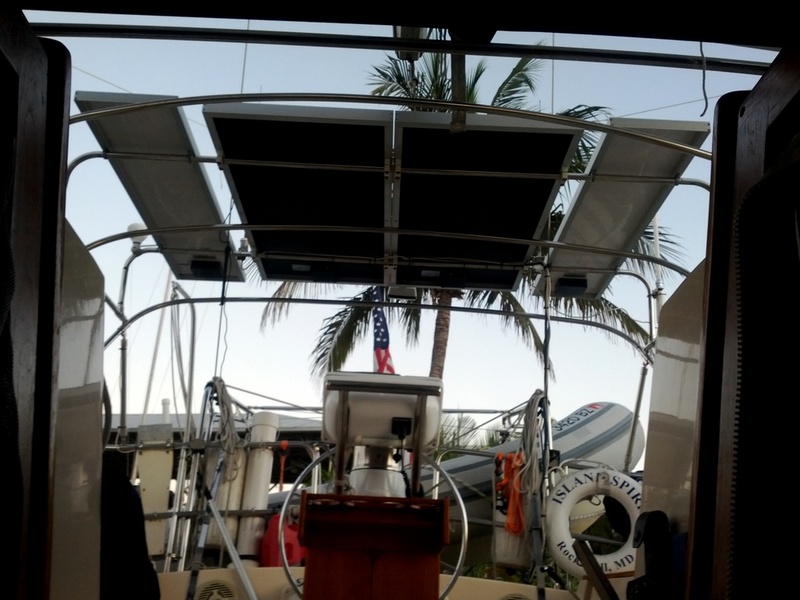 The power cord is stored, the dinghy motor is serviced and stored, the fuel is topped off as well as the water tank. Provisions have been bought and stored and all systems: fuel, oil and coolant all serviced, changed and checked. We are ready, yet we really do not want to leave. It is a very odd feeling, one that we both have never felt before. Most places you visit, you explore, and discover and then you are ready to move on to the next place. Here, there is a feeling of community, family, friends, and close neighbors. We were like visitors in a friends home, welcomed and invited to stay as long as we liked. We booked a month, the longest we have ever stayed anywhere and now, it is hard to leave. So, thank you to everyone who is an active owner at Harbour Cay Club in Marathon. You all have built a special place here and we are fortunate to share in this secret paradise. Radeen and I already are planning our next winter trip to stay longer. Our next planned trip is to explore the West Coast of Florida from the Everglades up to Pine Island Sound and Cayo Costa. 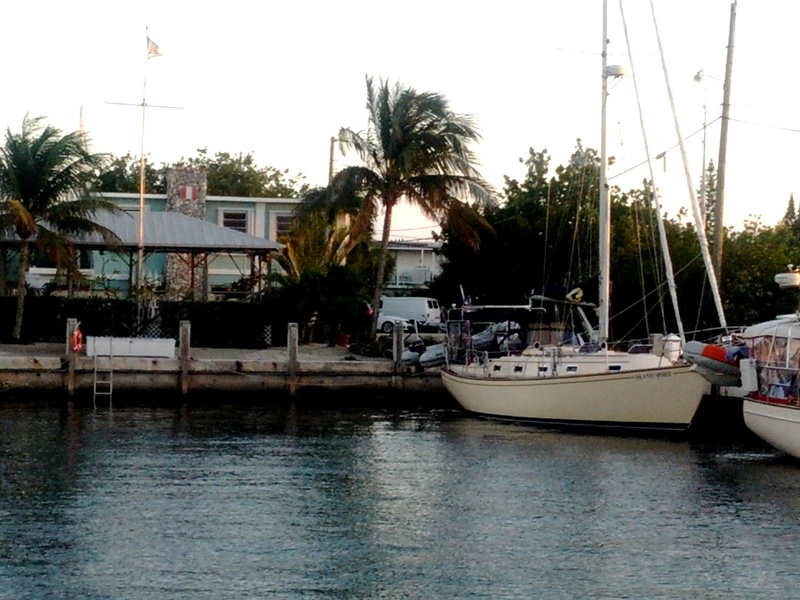 After 2 weeks there, we will sail overnight south to Key West where we will share a week with good friends. After Key West, we will move north to Biscayne Bay where we will spend 2 weeks in prep for our Bahamas trip. Every day, we wake and recognize how lucky we are to be: healthy, happy, and able to live this cruising dream. Thank you for following us…. Good Bye daily bike rides to the store, home depot, friends in other marinas, post office, dive shops, etc. Hello BAHAMAS as we prepare for our first trip! HCC, Harbour Cay Club is home…it is a great community, it is a place we plan to return to next year. Thank you, for making us feel at home…..See you next winter! Our good friend and fellow teacher, Dr. J. B. Smith, visited Team Island Spirit for a few days on his college semester break from IUP, Indiana University of PA. He is an aquatics director and senior seminar professor in the Health and Human Services department. J.B. or “Doc” as I call him, has been a great friend going back to the early 90s when we shared lunch at PVHS. J.B. is also our diving instructor who certified me and pushed me through the fears of diving associated with a previous poor diving instructor who treated us like Navy Seals and freaked me out under water….Luckily, D0c got me over that challenge. Thank you, J.B.! 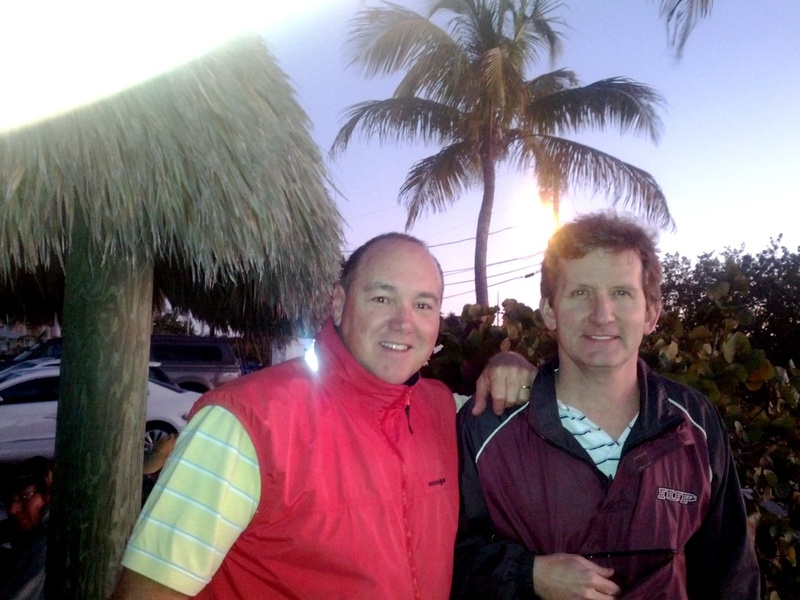 The Doc came to FLA to visit and dive with us and to watch his son swim in a college competition meet up in Orlando. We are so glad J.B. took the time to visit us and looked over us as we re-entered the diving world. It was a great dive spot – we saw a large sea turtle, a 5 foot long shark and a truly amazing number and variety of tropical fish. It was really fun! Dive #1 completed…look how excited Radeen is…..she loves this! We survived….we did it…Thank you J.B. 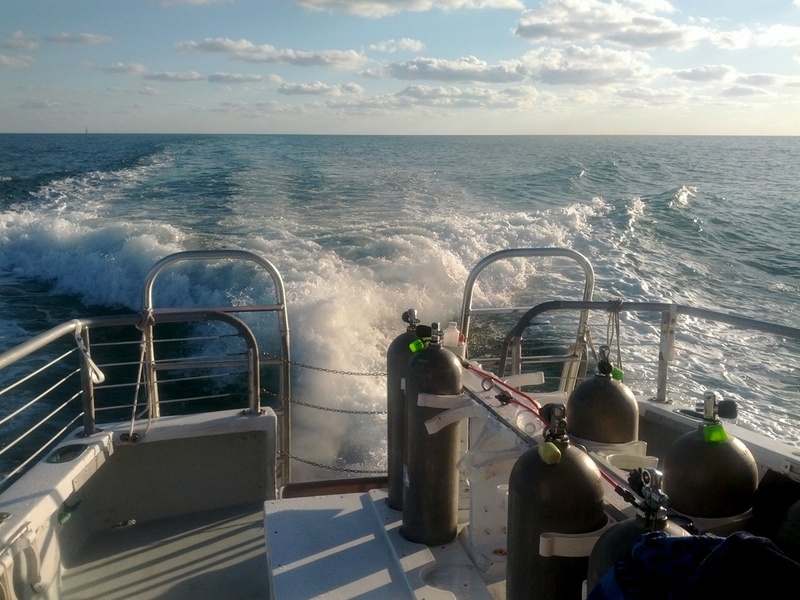 Heading back from Sombrero Reef on the dive boat…beautiful day! 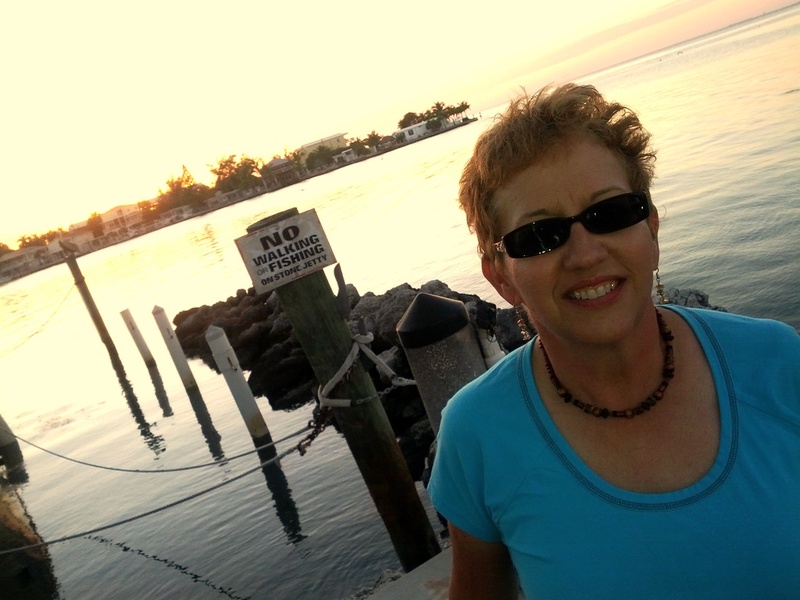 Living in the Florida Keys is very interesting and the weather has been fantastic. Typical day temps are 75 degrees and night temps are about 65 here in January 2012. Every week to 10 days a north cold front passes over and the temps drop to 60-65 during the day but they usually only last a day or two and then it is back to normal. 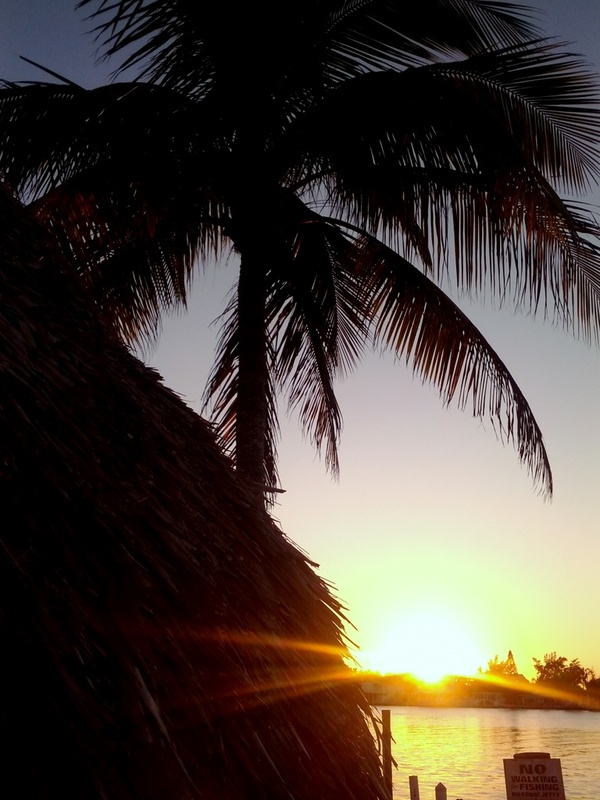 We can see why so many people have migrated to the Florida Keys….a beautiful place with lots to see and do. 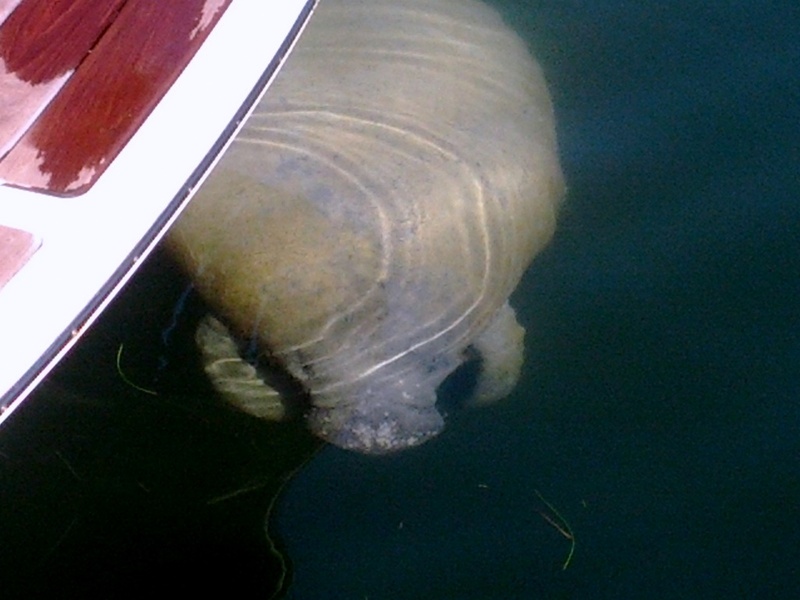 We plan on one more week here before heading off to the West Coast of Florida and living on the hook once again…..
10. Start over at #1 above…. This is way tooooo easy living here at dock, we need to set sail and get back to work soon! We are getting soft, we are getting lazy, this is way too easy, and we recognize this. That is why we planned one month only here at dock, and we plan to move on Jan 17th to Ft. Myers, FL for a west coast exploration. For now, we are living a dream and we know it, and everyday we wake up and reflect on this accomplishment of the dream. Lucky we are, and appreciative we are. Thank you! This week we installed two 65 watt solar panels on the roof and this takes our solar array up from 220 watts to 350 watts. We were getting about 75 amp hours per day before and we need 100 amp hours per day, so this should do it, we hope. Next task is defrost the freezer and run to the US Customs office in Key West to obtain our “local boaters” customs registration. This will allow us to check back into the USA via phone call when returning from the Bahamas. Now with a total of 350 watts solar! This week we have a good friend Dr. J. 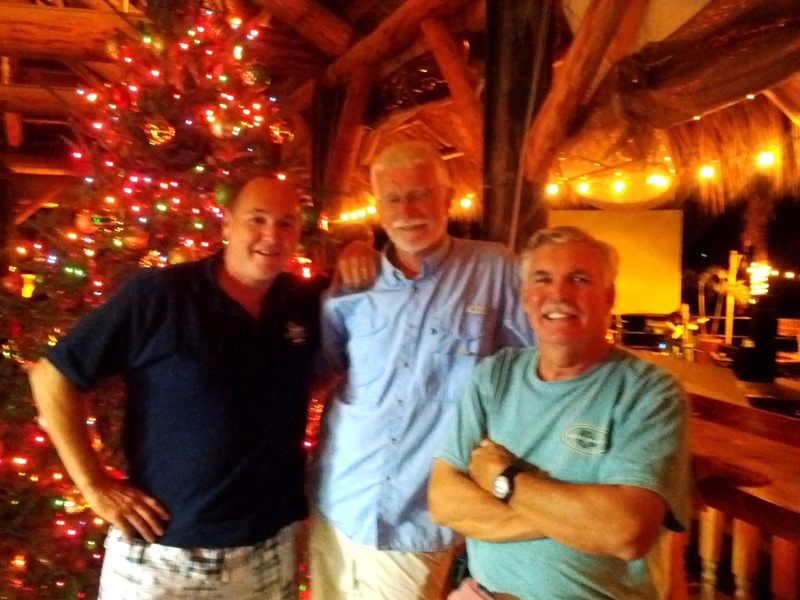 B. Smith arriving Thur-Mon for some reefing diving, snorkeling trips and good visits. We look forward to the visit….until then….